Memaw has arrived from Houston to spend the next 6 months taking care of us! 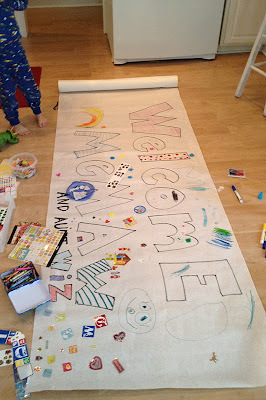 To make her feel very welcome and to give Merrick something to do for hours on end while I ate ice cream, painted my nails and watched the Today Show did whatever it is that housewives do, I assigned him the artistic task of decorating this sign. He used all his mediums (crayons, markers, paints, stamps and stickers) and it really did occupy him for hours. 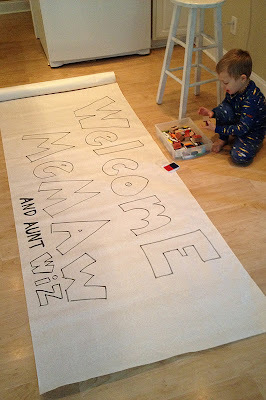 "Memaw's going to LOVE her sign! 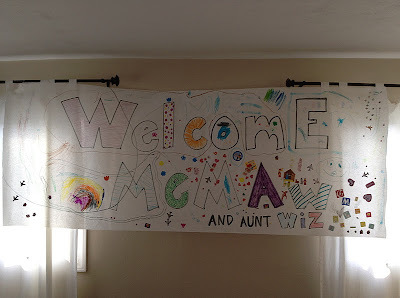 It says 'Welcome Memaw, Again!" Because Memaw seems to come back to visit every month around here. 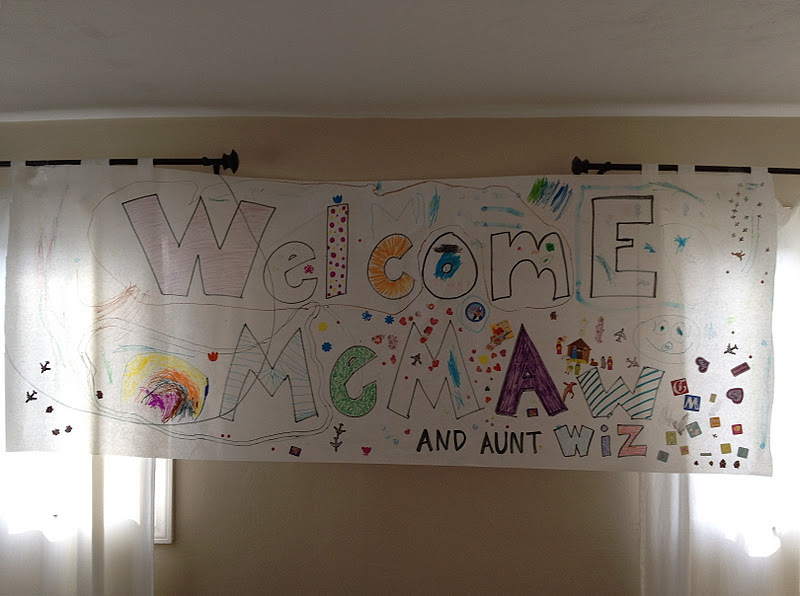 *Aunt Wiz is really Aunt Liz, road trip buddy extraordinaire. But when you can't pronounce your Ls, she is a Wiz. Tell Merrick his sign is beautiful!!! And what a good Memaw he has.